For about a decade, The Hood Internet has made a name for itself as purveyors of some of the best mashups out there. The group has a dozen or so insanely dense mixtapes, as well as a few studio records of original material. But few of its projects are as ambitious as the new “40 Years Of Hip Hop,” which attempts to cram the titular span of rap music into just under four minutes. That it even seems close should mark it as a success. Most impressive is the way The Hood Internet is able to weave verses from across the decades into a single, logical flow, with Dre starting a verse that The Game continues and Nas finishes. 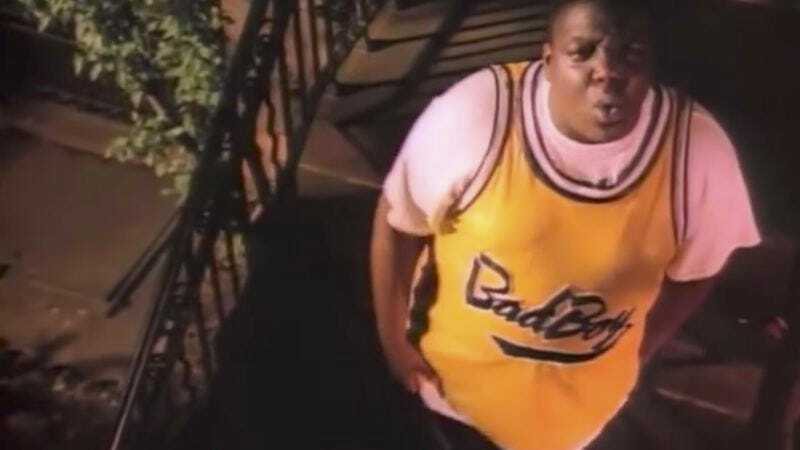 It all goes down over a tapestry of all-time great beats— “Hate It Or Love It,” “All About The Benjamins,” “The Light,” and so on—and the video keeps pace with each edit, with a VHS-style grain adding to the sense of time travel. It’s not even close to encyclopedic—watching this, you’d think rap ended in 2007—but it all works better than it has any right to. At the very least, it’ll have you pulling out some old favorites. When’s the last time you listened to Ridin’ Dirty?